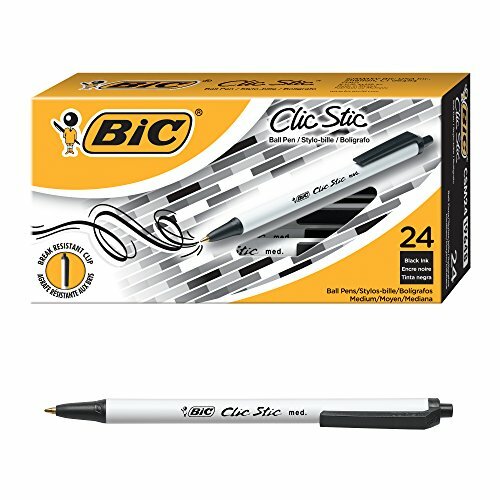 The Clic Stic Ball Pen is retractable and affordable; it’s a BIC classic. The comfortable round barrel design is ideal for all-day use. The break resistant pocket clip makes the Clic Stic easy to bring with you, wherever you go. Available in 1.0 mm point in black, blue, red, green, pink, purple, lime green and turquoise ink. Non-refillable.